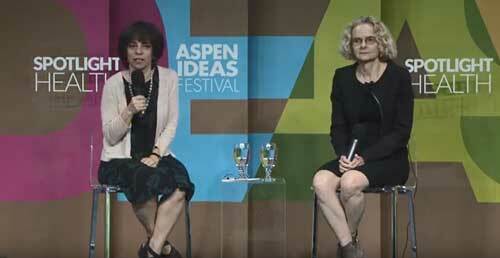 In June 2018, NIDA Director Dr. Nora Volkow was a featured speaker at Spotlight Health, the opening segment of the Aspen Ideas Festival -- the nation's premier public gathering place for inspiring leaders and experts from around the globe who present on various topics. 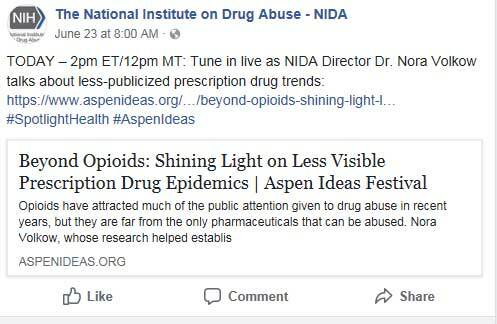 The title of Dr. Volkow’s presentation, Beyond Opioids: Shining Light on Less Visible Prescription Drug Epidemics, discussed stimulants, sedatives, tranquilizers, and sleep aids. Flickr photos from the Aspen Ideas Festival: https://www.flickr.com/photos/60463478@N08/sets/72157696652360581.